There are plenty of reasons to visit Thailand. The culture, the food, the stunning beaches. And despite its issues with overcrowding, hellish traffic jams and year-round humidity, Bangkok is a city that must be seen when holidaying in the Land of Smiles. Getting around the Big Mango can be a bit tricky, and taxis are the favored means of transportation, especially for tourists. 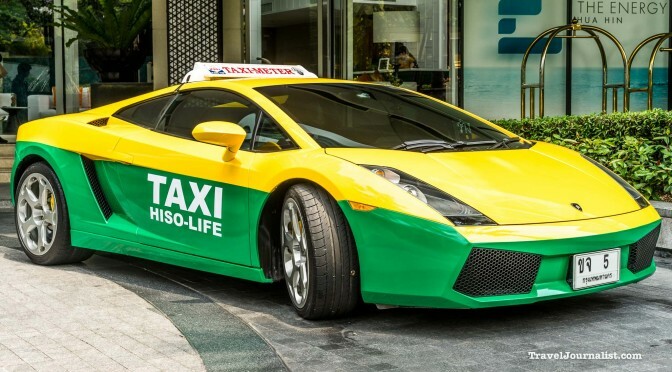 And if you’re really lucky, you might be able to flag down this Lamborghini Gallardo. 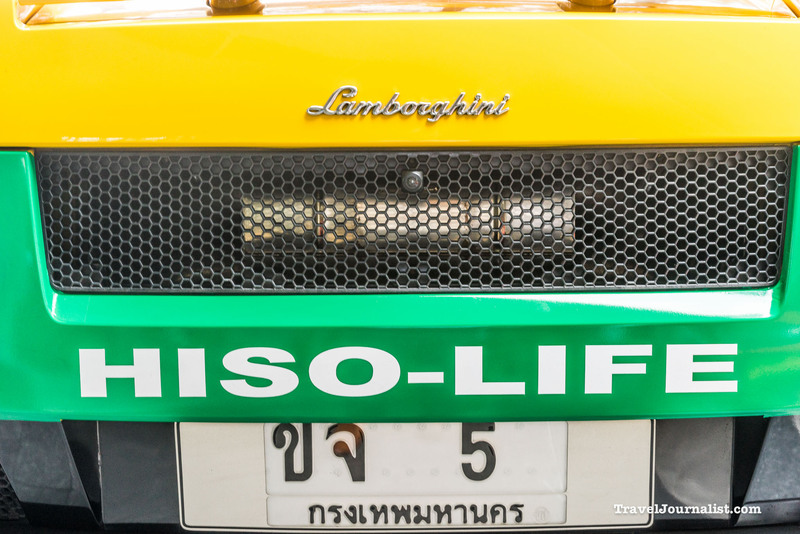 The real story : the owner of this car, Maesai “Joe” Prapasawat, has a show on Channel 9 called HiSo Life. He interviews people from the “Hi-Society”, and ask them to do things that they are not used to, like selling flowers on a market or working in a factory. 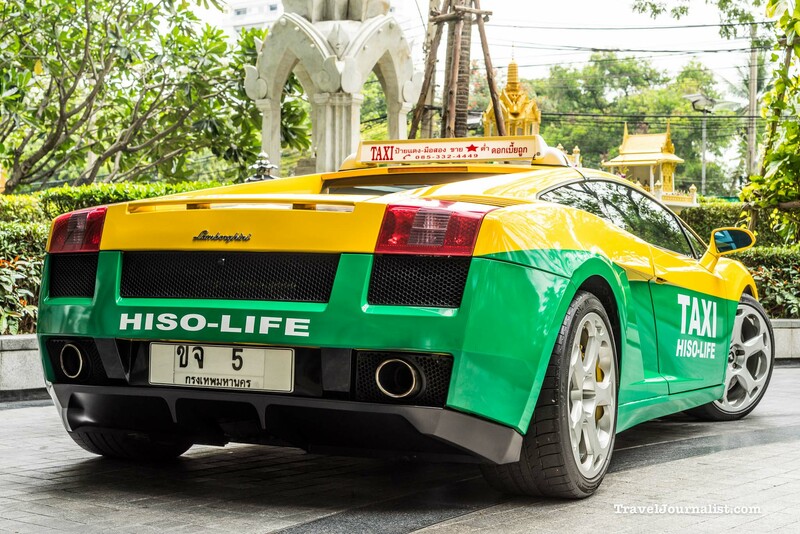 The same way he puts very rich people in normal situations, he disguised his Lamborghini in a daily life car, a taxi.